Forum charter member @Lynnkub swam her last lap this morning, in the presence of family and a small group of fellow swimmers who have been caring for her. 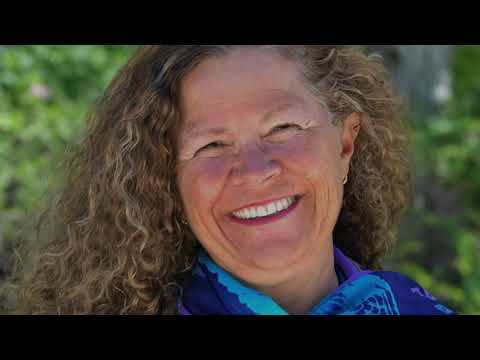 Lynn was born, raised, and made her life in Orange County, California, where she developed an early and lifelong love of the ocean - swimming in it, and sharing the joy of doing so with others. In the mid-1980s, Lynn co-founded (with @ScottZornig and Mike Trudeau) the Laguna Beach Open Water Swimmers (LBOWS), now one of the largest and most active "pods" in the world. 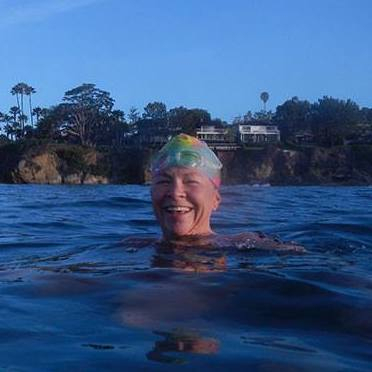 Lynn swam Catalina solo in 2009, Anacapa Island to the mainland in 2011, and became the first person to swim from Anacapa to Santa Cruz Island in 2013. In 2011, she participated in an all-women's relay swim from the Golden Gate Bridge to the Farallon Islands. This past September Lynn swam around Manhattan (20 Bridges), even as the cancer grew unnoticed in her pancreas, which would take her life just a few months later. Lynn brought infectious joy to open water swimming and life, which made her a sought-after crew member, cherished colleague, and unforgettable friend. This makes me so sad. Lynn’s leaving creates a big hole in our community. I’m glad to have known her. So Sad! I met her at the SF 24 hr relay and became friends w her on FB. Cancer has robbed us of an incredible swimmer and person. Heart-breaking news. I spent a wonderful day with her back in 2011, swimming, sharing good food and talking. I will remember her generosity, smile and love of life. I'm very sad to hear this news. I met Lynn only briefly and came to know her better through this forum. A big loss for open water swimming. I only met Lynn online, but was delighted to have even that affiliation. My deepest condolences to those who were close to her, both in the water and on land. Lynn was literally light on the water. Her smile saved many a doubting swimmer and she brought fun and adventure to every event she was a part of. I enjoyed chatting with Lynn in the sauna during the 24-Hour relay and will cherish the sweet-smelling soap she so generously gave to everyone. It was an honor to be acquainted with her and I'm so very sorry for the terrible loss her close friends and family are feeling. May she swim without boundaries, without pain, in endless sunshine, and radiate her good energy eternally. I’ll miss your smile and your hearty laugh and your oft joyful exuberance for most every part of life. I also only met Lynn online and really enjoyed our conversation about 20 Bridges, sharing our apprehension and excitement in equal measures. Lynn was instantly welcoming and our post was as friendly, chatty and open as those I share with friends of many years' standing. I wish so much that I'd had the chance to see that huge, sunny smile in person. Long may you be remembered and celebrated, Lynn. 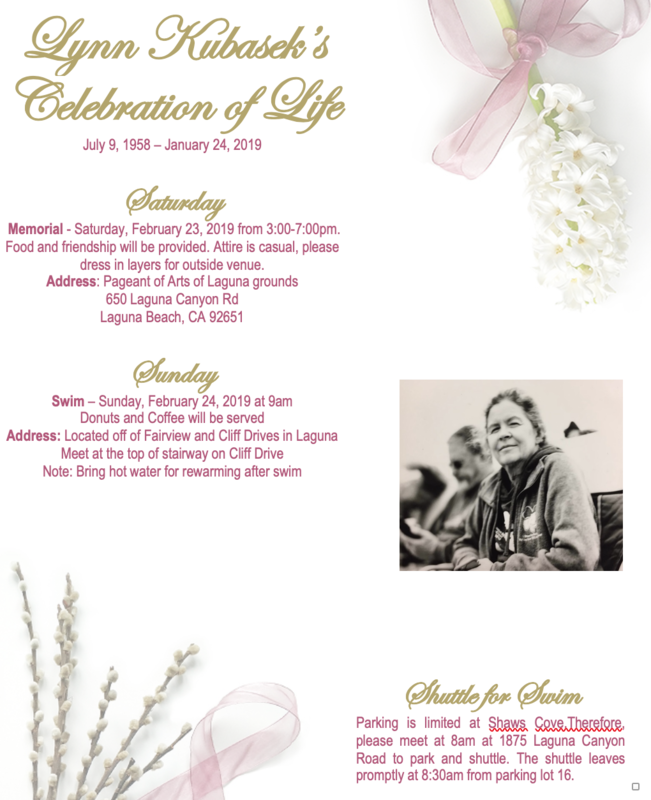 Celebration of Life in Laguna Beach (venue will be announced shortly) on Saturday, 2/23/19 from 3:00-7:00pm. Food and friendship will be provided. Attire is casual, multiple layers suggested due to weather. We will be outside around sunset. Swim/Paddle Out in Laguna Beach at Shaw's Cove on Sunday, 2/24/19 from 9:00am until you are done. Please note our beaches do not have saunas or hot showers- plan accordingly for warm up. Our water temps are currently 55-57, air temp has been averaging about the same. Hot water in jugs or water bottles is usually sufficient. Coffee and light breakfast will be provided. All beaches in Laguna are in neighborhoods. Parking is at a premium. We will be providing shuttle service utilizing the city of Laguna Beach's public trolley system. Plan on arriving at the designated lot (to be announced shortly) about an hour before swim time. Carpooling is also an option- please be kind to our neighbors and keep driveways and fire lanes clear. Flight information: John Wayne Airport (SNA) is 30 minutes away, Los Angeles (LAX) is 1-1.5 hours away. Hotel Information: No blocks have been made at this time, there are numerous hotels in Laguna within walking distance (or public transit) of both venues. All are welcome to celebrate the life of an incredible mother, grandmother, artist, and of course - the happiest swimmer. A couple videos from the memorial this weekend. Ouch. These beautiful tributes make my heart ache. Thank you for sharing, @evmo. Just getting on the forum since the drive down and back from Lynn's Celebration of Life. What a WONDERFUL LIFE! She touched so many people. Her smile was so contagious. I want to thank the Dawn Patrol from Laguna Beach and Lynn's family for putting on such a beautiful celebration. We had so much to talk about with everyone that was able to be there. The swim out was so special. Gathering around the BUOY was amazing. I love the OW swimming community so much. I am still not fully grasping that she is not with us in body any longer.